It’s early morning on a brisk April day in the middle of autumn in the Southern Hemisphere. Or depending on where you are, it could be the middle of spring. The sun is yet to make its appearance over the horizon and a cool mist cloaks the landscape. Then, slowly, candles begin to flicker into life. First a trickle, then more until a cloud of them glow in the pre-dawn darkness. 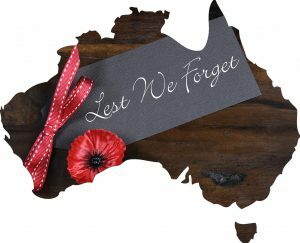 It’s Anzac Day somewhere in the world. Australians and New Zealanders have gathered to pay tribute to a group of courageous soldiers who landed on the remote shores of a far distant country on April 25th, 1915. And paying tribute alongside them are Turks, remembering the equally as heroic deeds of the ‘homeland’ soldiers who valiantly defended their coastline against the intruders. On April 25th, 1915 Australia was still a young nation. A very young nation. She had only officially become a sovereign entity on January 1st, 1901, a mere 14 years previously. But Australian officials were keen to prove to the world, or to Great Britain and her allies at least, that young though she may be, she could still do her share to support the Allied efforts in the war currently happening. Even though that war was many thousands of miles away from home and realistically nothing to do with Australia at all! Old habits, instilled by a century or more of supporting the Mother Country in overseas battles, die hard. To that end, Australia sent an Australian Imperial Force to Egypt to assist British forces protecting British interests in the Middle East and Suez Canal. After minimal training in Cairo the Australian forces, together with forces from her close neighbour across ‘the ditch’ AKA the Tasman Sea, were dispatched to the Gallipoli Peninsula in Turkey. The aim of the offensive was to capture the peninsula and establish a safe passage to the Black Sea for allied naval forces. There were also troops from Britain and France involved in the campaign but they landed elsewhere. The Gallipoli campaign was prompted by the ongoing stalemate happening on the Western Front in Europe. Both sides were going nowhere in particular so the British Imperial War Cabinet decided an attack on the ‘enemy’ from a different quarter was called for. To this end, in February 2015 they mounted a naval offensive against the Ottoman Empire to gain control of the Dardanelles Strait and from there, Constantinople. The idea was that the Turkish people would be forced into signing an armistice by the sight of British naval vessels arriving at their capital with all guns blazing! Unfortunately for the Allied Forces, whilst that style of campaign had won England many battles throughout history, times were changing. They were now up against an enemy who was not particularly impressed by England’s naval strength. Nor were they prepared to let Allied forces take control of the Dardanelle Strait, let alone get anywhere near Constantinople! The Turkish people were fighting back, and fighting hard. The British Imperial War Cabinet therefore decided to mount a land-based attack as well. The Mediterranean Expeditionary Force was cobbled together for this purpose. Commanded by General Ian Hamilton, three amphibious landings would drop troops off at various coastal points along the Gallipoli Peninsula to secure it. And once secured, the British Navy would be able to sail unimpeded into Constantinople! At least that was the plan. The reality was to be far different…! At 4.30am on Sunday, April 25th 1915, 36 rowing boats carrying two contingents of Australian troops were towed to an obscure, and unmapped, cove on the Gallipoli Peninsula called Ari Burnu. It was not their intended landing spot. That spot, namely Gaba Tepe, was some one and a half kilometres to the south. In the darkness, the landing fleet had gotten off target! It was a portent of things to come. 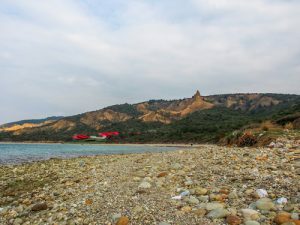 ANZAC cove, site of World War I landing of the ANZACs on the Gallipoli peninsula in Turkey. Upon landing at what was supposed to be an open cove, the troops found themselves confronted instead by steep hills and cliffs. But being enterprising Australians with a heritage of meeting adversity head on, the troops got on with the job of moving inland. 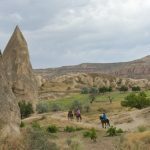 They climbed the steep gorse covered slopes, only to meet Turkish fire when they reached the top. However, they hung on and managed to make some headway to establish a small stronghold from which to base future attacks. The first of the New Zealand troops landed around 6 hours later at 10.30 am and were faced with the same challenges of steep cliffs and hills where there was supposed to be open flat beach country. On the bright side, Ari Burnu was relatively undefended. The Turks were expecting them to land at Gaba Tepe and had amassed a considerable defence force there. The hills and cliffs at Ari Burnu also provided the troops with some defence from Turkish gunfire. Nevertheless, there was still considerable gunfire exchanged on both sides and in that first 24 hours official records claim 754 Australians and 147 New Zealanders perished with a further 2000 or more injured. Exact numbers for Turkish casualties were never recorded but some reports put the figure at around 2000 at least. And that was on the first day alone! It also meant the boats that were supposed to be ferrying back up troops to the Cove were slowed up as they were needed to take the wounded back to the hospital ships. The stand off at Gallipoli, as it ended up becoming, lasted 8 long soul destroying months. It cost the lives of 8,708 Australians, 2,721 New Zealanders and some 87,000 Turks. The official Australian toll by the end of it, including both dead and wounded, was 26,111. It’s also been stated that probably the most successful manoeuvre of the entire campaign was the withdrawal operation at the end of those 8 months. That particular operation went without a hitch and successfully removed 142,000 Allied troops from Anzac, Suvla and Cape Helles between December 19 and January 8th, 1916. During the occupation, Ari Burnu was unofficially dubbed Anzac Cove in reference to the combined Australian and New Zealand forces that landed there. It was officially renamed Anzac Cove in 1985 by the Turkish government. Anzac of course is the acronym of Australian and New Zealand Army Corps. As far as war campaigns go, Gallipoli could be considered an epic failure. For both sides. However, for the fledgling nations of Australia and New Zealand, it was their first war campaign since being granted sovereignty. The tales of heroism, mateship and courage at Gallipoli in the face of almost unsurmountable odds fired the imaginations of Australians and New Zealanders back home and fostered a wave of overwhelming patriotism like few other things could have. It united the peoples of those countries and marked a turning point in their national pride and sense of worth. Indeed, so significant was the impact of the ANZACs and the Gallipoli campaign that on January 10th, 1916 a public meeting was held to discuss the inception of a day of remembrance to honour those who had lost their lives at Gallipoli. The meeting was held in Brisbane, the state capital of Queensland, Australia. From that meeting, an ANZAC Day Commemoration Committee was appointed to set the wheels in motion. The first Anzac Day commemorations were scheduled for April 25th 1916, exactly 12 months to the day of the first landing. It proved to be a huge success with ceremonies, parades and services being held around Australia and New Zealand. Some of those parades featured a convoy of cars carrying soldiers who had been injured on Gallipoli. Two thousand or more Australian and New Zealand troops marched on Westminster Abbey in London and were dubbed ‘the knights of Gallipoli’ by a London newspaper. And so April 25th officially became Anzac Day. A day of remembrance observed by Aussies and Kiwis around the globe and commemorated also by Turks and Brits. Representatives from all 3 armed forces as well as the police force take part in the official marches and proceedings. Descendents of service men and women also often march, proudly wearing their forebear’s badges. In fact, the growing presence of the younger generations at these services, and their involvement in the marches, is testament to the enduring spirit of the Anzacs and the Anzac tradition. If you’re going to be visiting Anzac Cove this April 25th and are a bit light on top hair wise, why not pop in and visit us to discuss a possible hair transplant solution. After your visit to Anzac Cove of course!